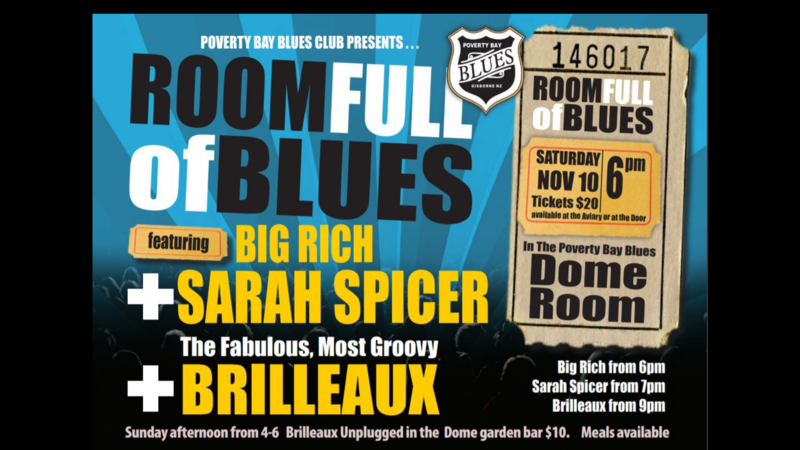 The Poverty Bay Blues Club is an incorporated non-profit society that was established in 2004 to promote and encourage the playing of Blues music in the Gisborne district. We now also offer a bundle deal of Individual Membership + a Tee Shirt for $50. For your membership you gain free access to Jam nights for that year, that’s 12 events! You’ll also get preferential treatment for special Blues Club events that we run from time to time. To join is easy – simply pay online using Paypal, or your credit card, it’s safe and secure – we’ll mail your membership card to you. Can I join as a spectator or do you have to play an instrument? Hey there Liz – club membership is open to any body who wants to come along and support the club – musically inclined or not! Hope to see you join up and support the club.